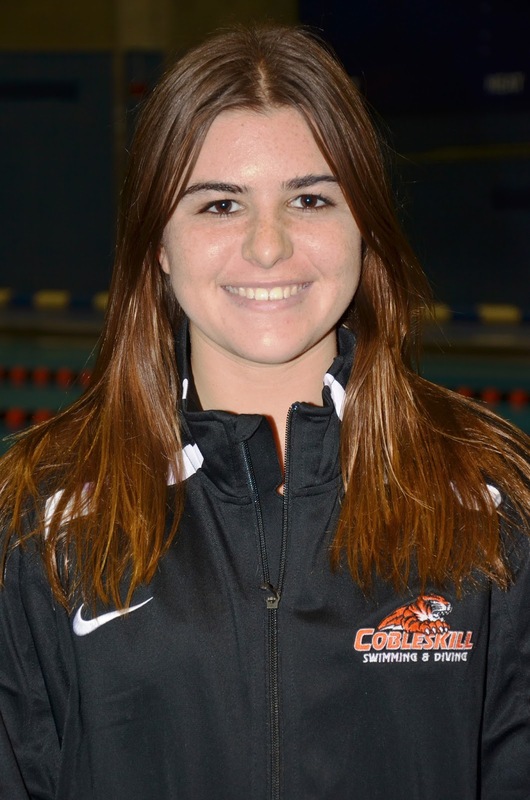 The SUNY Cobleskill Department of Sport & Exercise announced today that freshman Michelle Moffett, Staten Island, N.Y., St. John Villa Academy, a member of the women’s swimming & diving team has been named the athletic program’s Fighting Tiger Athlete-of-the-Week. 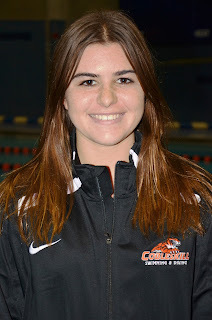 The Fighting Tiger freshman distance swimmer won the 1000-yard freestyle in a time of 14:19.87 and the 500-yard freestyle in 6:58.33 as the team dominated the action at a double dual meet hosted by Wells College over the weekend. The Orange & Black topped the host Express by a score of 100-79 and the Bison of Gallaudet University by a 108-88 margin. With the victories, the team improves to 2-5 overall versus opponents in head-to-head competition on the season.